But do I negate the positive effects when I add vodka? 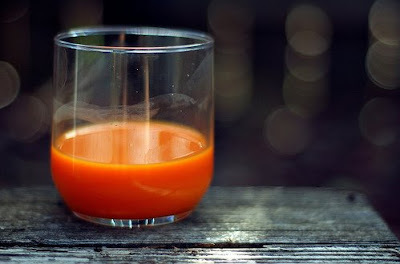 mmmm, fresh carrot juice with a splash of lime and a tiny bit of fresh ginger, yum! I've never had it with vodka, but I'm sure it would be totally awesome. Thanks for the tip! Bring it! I love my juicer too. I add rum, though. Vodka makes me hurl. psh, i say as long as you drink water, carrot juice plus vodka makes both you AND your skin happy! My philosophy is, if you add enough booze to your juice you stop caring if your skin looks good or not. Oh yeah. Did I mention crushed ice made in the vintage ice crusher we bought on our honeymoon road trip?